In my opinion, I think it doesn't hurt to cut down on the consumption of wheat. Everything in "moderation" is key ! We consume a lot of organic wheat (apparently even organic isn't good). We love waffle and bread around here. While our family has no allergies or any illness, I like to take the precautionary route, if anything, it's only good for us. In order to cut down on wheat, I have to educate myself on what food they hide in and what name they go by ! 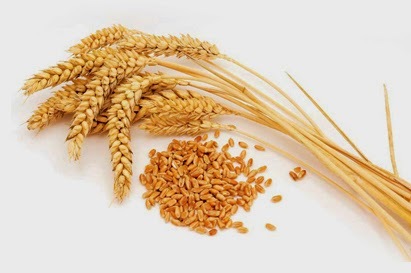 Here's a list of names for wheat and the types of food they live in. I'm sure this is just a short menu of it, but it's a good start for me. Wish we luck ! Avoid foods containing these ingredients unless the label states they are not made from wheat.